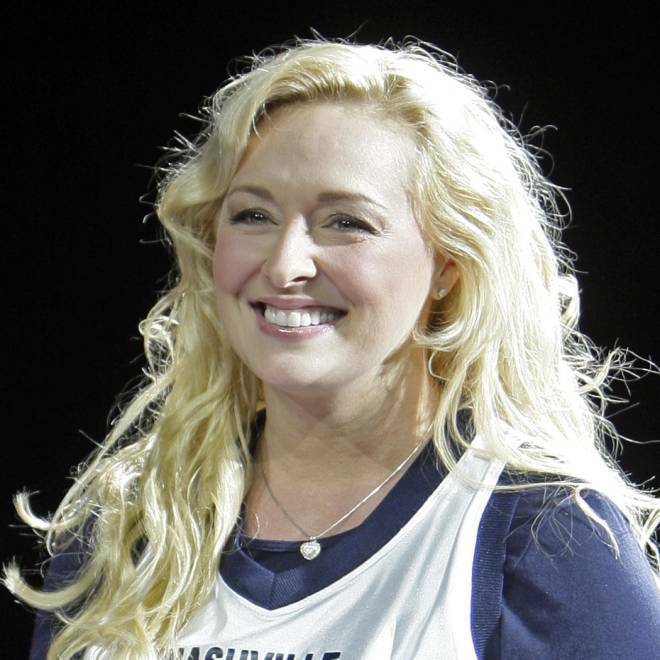 Country singer Mindy McCready was found dead Sunday "from what appears to be a single self-inflicted gunshot wound," police said. Deputies investigating a report of gunshots found McCready's body on the front porch of a home in Heber Springs, Ark., according to the Cleburne County Sheriff's Office. McCready, 37, had battled substance abuse. She had a No.1 country hit in 1996, when she was just 21, with "Guys Do It All the Time." Her other popular songs included "Ten Thousand Angels" and "A Girl's Gotta Do (What A Girl's Gotta Do)." "I grew up listening to Mindy McCready...so sad for her family tonight," Grammy-winning country singer Carrie Underwood tweeted. "Many prayers are going out to them." Wynonna Judd tweeted, "Oh my! Mindy. Dear sweet girl. This is so sad. It just breaks my heart what addiction continues to take from this life." McCready, who has dated such famous men as "Lois and Clark" star Dean Cain and Red Sox pitcher Roger Clemens, has had more problems than hits in recent years. Her relationship with Clemens made headlines in 2008. McCready told "Inside Edition" that she was just 16 when she met the married Clemens, but said their relationship did not become sexual until years later. Clemens issued a statement saying only, "I have made mistakes in my personal life for which I am sorry." On Monday, Clemens released a statement calling McCready's death "sad news," and adding, "I had heard over time that she was trying to get peace and direction in her life." In 2010, she appeared on "Celebrity Rehab with Dr. Drew" seeking help for her battle with substance addiction. Her biography for the VH1 show states, "Although she was arrested and jailed for trying to buy OxyContin with a false prescription and attempted suicide with an overdose of drugs and alcohol, Mindy believes her only true addiction is to violent relationships." In an interview with The Associated Press in 2010, McCready called her life "a beautiful mess." She added: "My entire life things have been attracted to me and vice versa that turn into chaotic nightmares or I create the chaos myself." In 2011, McCready's mother reported that the singer and her young son Zander were missing. McCready's mother was Zander's legal guardian. The singer returned her son by order of a judge. She gave birth to another son, Zayne, in April 2012. In January, her boyfriend David Wilson died of a gunshot wound in his Heber Springs home. McCready later appeared on TODAY and called Wilson her "soulmate." When asked by NBC's Andrea Canning if she shot Wilson, McCready replied, "Oh, my God, no. He was my life. We were each others' life." Authorities are still investigating Wilson's death and have not named McCready as a suspect. On Feb. 6, McCready's publicist said the singer was admitted to an inpatient facility, though the cause was not specified. Her two sons were placed in foster care while McCready was being treated.